People seem to have a number of questions about The Human Division, so here are some answers to them. Because I do that. Some of this I’ve answered before, but it’s nice to have it in one place, close to release date. Do I need to have read every book in the Old Man’s War series to read The Human Division? I don’t think so. I made an effort to make sure each episode comes with enough context baked in that you should be able to enjoy that particular episode in itself, regardless of whether you’ve read anything else in the series. That’s part of my general philosophy of “don’t leave your reader stranded.” That said, if you do read the previous books in the series then of course you’ll have a greater depth of context, which will be nice. But you don’t absolutely need to have. One important point, however: If you haven’t read the previous books, then The Human Division is going to spoil some plot points for them, most notably for The Last Colony. Because, you know, it takes place after those events, and as a direct consequence of them. Be aware of that. Is every Human Division episode going to be the length of “The B-Team”? God, no, or I would still be writing them. The episodes range in length from 6,000 words to 22,000 words; the average length is about 10,000 per episode. “The B-Team” is the longest because it’s the premiere episode and has to pull the largest amount of freight in getting people into the universe; the final episode is the next longest. All the episodes, however, are selling for the same single-serving price. If we buy the individual episodes can we trade them in at the end for a single document? I suspect the technical difficulty in doing that would be high (not to mention the privacy issues of having us check to make sure you indeed bought all the episodes), so my suspicion is that, no, they’ll remain multiple documents. I could be wrong about that and if I am I will let you know later. Bear in mind that we’re selling the episodes DRM-free, so if you’re at all adept at these things you could probably create a single document out of the individual episodes you’ve purchased, for your own use. And if you do that, hey, you bought them, you can do what you want with them as far as I’ve concerned. Why did you distribute the episodes the way you did instead of [insert different method of distribution here]? That’s something to take up with Tor specifically, but I would suggest that, one, I expect Tor tried to make the process the same over as many retail platforms as it is on; two, there may have been technical and/or other practical considerations for distributing this way and not some specific other way; three, among everything else it is, The Human Division is a test case for how to do this type of distribution model. So we’re doing a lot of flying by the seat of our pants. Which means: by all means tell us your thoughts, but also, be aware we’re figuring this out as we go along. I can’t get the episodes in [insert country here]. Tor has the world English rights and as far as I can tell has done just about everything it can to make the episodes accessible everywhere on the globe, so if you can’t get the episodes where you are, it may be a retailer issue. Yes, this electronic distribution thing is complicated. Also be aware that episode prices may vary where you are for various reasons, most of which I know nothing about, but probably involve the nations of the world not being a perfect model of economic efficiency. Yes, there’s audio, from Audible; yes, they will have audio episodes debuting on the same day as the episodes from Tor; and yes, as I understand it, you will be able to pre-order the audio episodes so that they will pop into your listening queue each week. More details on all of that soon. Also, for those curious, the narrator for The Human Division is William Dufris, who narrated three of the four previous OMW books (Zoe’s Tale having been handled by Tavia Gilbert). I believe (but am not 100% sure) that Audible has world English audio rights; check with the local Audible store or affiliated online retail in your country. The Human Division Part II: The Dividening? If you’re asking if there is a direct sequel to THD at this point: No, not yet, although I have a pretty good idea of where things are going to go if Tor asks me to write one. What we need to see at this point is what the reaction is to THD, and how people respond to the episodes, to let us know how to proceed to this point. In other words: It’ll be up to you guys. We’ll be paying attention to your response. Read it! Loved it! Bummed I have to wait two weeks now for the next episode! 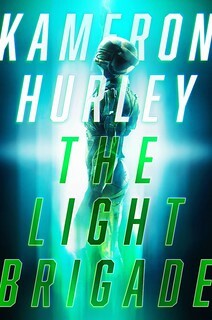 Glad to hear that if all goes well there could be another novel or whatever in the series! Thanks for writing it. I’ve already pre-ordered all the episodes. I’m very much looking forward to this. I kind of enjoy the way this is coming out. it’s different, and I’ll have a little nugget of Scalzi fun every week until it’s done. I got “The B-Team” yesterday and really enjoyed it. What a good beggining. I have seen a few folks asking about subscriptions, but I don’t really see too onerous a difference betweeen hitting preorder 13 times versus just once. The episodes will still be waiting for me every Tuesday morning. Plus they don’t charge me for the preorders all at once, they charge for each episode as it comes out. Although I do understand the desire for one click subscribing, I just don’t see the lack of it as a deal breaker. My question is will we get to revisit any of the major 3 characters from the first novels (John, Jane and Zoe’.. duh). I’m also dying to see what has happened on Earth since they blew up the status quo. Been wanting this since I finished Zoe’s tale. 1. I cannot buy the episode on iBookstore, even though the book *is* there… but in the U.S. store only (Hello? It’s 2013!). So much for worldwide rights and availability :-( The way iTunes Store works, the publisher has complete control over the countries the book is made available in, so this is actually *not* a “retailer issue”. This is squarely Tor’s fault and Tor’s only. 3. The Tor ebooks store, “coming in summer 2012”, is still not there, so no luck there either. DRM-free books (I applaud this) work even better if one can actually *buy* them. As for ebooks distribution somehow being “complicated”: unlike dead-tree books, it’s only as complicated as the publisher makes it. For newly published books, I mean, with modern-age contract, as I’m sure is the case here. Really, no, it’s not, and additionally you’re not doing anyone a service oversimplifying it in such a way. Eliding the fact of retailer goals and internal processes and complications due to differing law/taxes/etc in differing countries to attempt to pin everything on the publisher is just simply incorrect. It kind of drives me up a wall when people do this because it ignores the reality of doing business in the world as it exists at the moment. It additionally drives me up a wall when people think that eBooks are somehow magically different, i.e., simpler, by the mere fact of being electronic. eBooks are different in some ways, but not all those way bend toward simplicity, particularly when it involves retailers and the commercial sphere. Speaking as someone who has to deal with the reality of eBook distribution: It’s complicated. I agree it would be nice if it were simpler, and that proclamations to that effect on Web sites would make it so, but it’s not, actually, and they don’t. I was one of the lucky (smart) ones who signed up at Tor for an early preview. Now, I’m conflicted because I have even LONGER to wait for the second episode than if I had acquired it from Amazon with everyone else. Cause, It’s really good!! This takes me back to my 20’s and 30’s when SF was exciting and fun. I love success stories and this looks like an entire book of them. I too, wish there were some way to subscribe to the series and then get the book at the end. Maybe if you could charge the entire subscription fee up front, you would get the episodes plus the book? Good to see HD on Google Play. Prefer the flexibility of access via web and/or ereader with synchronization between the two. And better yet, the Old Man’s War universe continues! I’m someone who routinely sets aside long-awaited books and delays reading them out of fear that once I finish them I’ll have a WHOLE YEAR to wait until I get the next installment in the series. So I’d just like to say I’m thrilled with this format. I was a little skeptical until I read “The B-Team,” but it’s a great page-turner and gives me confidence in Mr. Scalzi’s ability to pull off the serial format. Now I have months of knowing I have a fresh reading snack every Tuesday to look forward to. I’ve still got half your bibliography to read, as each comes up in my list of books to read according to the arcane rules of my own devising (basically I break up authors and series with other books to make them last longer). So my intent is to wait until I can get the entirety in one e-book. I have plenty of Scalzi goodness left in the meantime. So I guess Wheaton’s demands were too high to do these audio books? Did he demand things like 1) recording studio stocked with select microbrews flown in from across the country, 2) That you use googly eyes on the cover of all of your books from now on, and 3) a “Cards Against Humanity” set with all of the cards that have the word “play” taken out? John, sorry to disagree, but I actually *do* this worldwide-selling-of-digital-files for living so I do know a thing or two about it. Excusing Tor’s failure to offer the book worldwide via iBookstore with vague handwaving (that’s something that drives *me* crazy) about some law/taxes/etc is… unsubstantiated. BTW, sure, eBooks aren’t magically different. eBooks just aren’t physical — they don’t need to be shipped to other countries, they don’t have duties paid on them. They’re sold as *licenses* and just like that. the picture *is* legally very, very different. Then I’m puzzled why you’re vastly oversimplifying matters in order to make a polemical point. I’m engaged in matters of electronic distribution as a writer and have been for years and my experience of it is apparently different than yours. Well, no. I didn’t do that; I didn’t address the iBookstore complaint at all. To be clear, it’s entirely possible you’re correct about that one; it’s something I would need to check with Tor, and I appreciate the heads up about that. I looked over at Audible by series title, segment title, and author name and was unable to find it at all. Will it be complied into one complete set of stories to come out when the full book does? It’ll be there on the day of release, I promise. Well, vx, I’m going to sort of take a middle ground here. I also do worldwide-selling-of-digital-files, though not quite for a living just yet. And yes, I can publish on Amazon, and Kobo, and my ebooks are available in Canada, the UK, Japan, India, Germany, Italy, France, etc. But, and I think this is the important part, that’s because Amazon and Kobo have done the legal work necessary to sell those things in those regions. I benefit from Amazon being able to do this, and because I own worldwide distribution rights to my work and am selling directly through Amazon and Kobo, I can automatically take advantage of whatever agreements they’ve made. John is selling through Tor. While he has worldwide distribution rights to his work, Tor doesn’t. Tor’s distribution rights were set up at a time when it just wasn’t practical to do that. That’s the downside. The upside is, it’s freaking Tor. There are plenty of advantages to being part of that outfit. Regarding vx’s comments with iBookstore (and, therefore, Amazon? ), I can’t say it’s all that surprising. During my 8 and a half years in the book business, this sort of thing with the dead tree versions was endemic. As a point of information, Tor does have Worldwide English distribution rights for The Human Division, specifically because we were interested in having this be same day in as many places as possible. Everything else about your comment stands. I’ll say it: EFF Audible’s bloody minded obtuseness regarding acknowledging books prior to release. It does too fracking exist, you miserable bunch of hay-munching cattle. Some of us would LOVE to pre-order stuff like this. I guess I’ve not been following this closely enough, as I have been expecting THD to be published as a physical book. Will that happen at some point in the future? With respect to your “don’t leave your reader stranded” response above, concerning your attention to readers’ ability to enjoy these as individual stories: Did Robert Silverberg’s The World Inside serve as a model? I ask because the stories constituting that book had each been published separately first and could be enjoyed independently; a major character in one might be peripheral in another. I myself encountered the first three as stories in the SF magazines or in original-stories anthologies such as the Harry Harrison-edited Nova I, which begins with the first-published story in the sequence, “A Happy Day in 2381” (the book version dispenses with the titles and doesn’t even acknowledge that the separate stories had ever existed). Of course, it could be the other way around: Perhaps Mr. Silverberg will follow your example of separate online episodes? i’ll admit to being weird and backwards. maybe because, though i’ve only lived 35.9 years, i’m actually *95* [feel like it, anyway] and i HATE ebooks. not hate, i mean, i love the idea. but i hate trying to read them. though i wonder – is this the best way to show my support? do you have a better idea? one of these days, i’ll break down and buy a kindle, i’m sure. We do, indeed, have World rights. On Jan. 15, at audible.com, the first episode will be available for download – and pre-orders for all the remaining chapters will go live – so you can pre-order all the episodes, and have them delivered automatically from there on out. We’re mirroring the e-book publication, so there will be a new episode every Tuesday. Ultimately, we’ll publish the compiled audio as one product, to coincide with the book release in May. We chose William Dufris to narrate because, as John points out, he performed 3 previous books in the OMW series. We’ve used Wil Wheaton for John’s ‘other’ books (including his story in our new audio anthology, RIP-OFF!) and hope to do so in the future. We’re very excited about THD – and I can tell you that it’s fab! I have no complaints on my end. I got the PDF version via TOR email, popped it into the Kindle app and was happily reading as soon as I got on the train. The only oddity I noticed was that the header on even-numbered pages reads, “The Human Division #3: The B-Team” I had to double-check that the parts weren’t being issued out of order for some odd reason. Nice to meet you, Mr. John Scalzi. I have discover your “Old Man´s War” saga (“La Vieja Guardia” here in Spain) a few months ago (last week of november) and i cant stop reading ’till I´ve finished “Zoe´s Tale” the last weekend. I didn´t read four books so fast since years ago. 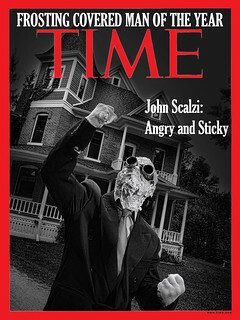 So, I have no doubt, “You are the man”, Mr. Scalzi. Oh! And here each episode wll be for 0,77 €…Hooray! denelian: If you can tolerate reading on a screen, the Kindle app installs on pretty well everything. I buy e-books from Amazon but don’t have a Kindle. I read them on my home PC, work laptop, and iPod Touch using the Kindle app. I also convert using Calibre and the read on my Sony e-Reader. I got “The B-Team” from Tor as a gift. Loved it. And Thanks. Downloaded it as a pdf and had the Kindle app send it to my Kindle. The font sizes were a bit crazy, Either very small, a relatively good size, or large. Could not control the size by swiping, it was either what was showing or giant. But again the content was great. Anticipating part 2. Got my Tor gift yesterday. Finished it last night. Liked it very much. Bought the full run. In other news, I found myself wanting a Wiki on the Old Man’s War universe. Not that I would take the time to put together such a thing, but it took me a while to remember who Harry Wilson was. I read a lot of SciFi and unless it is very recent, I might not remember a specific character’s name. The google did not lead me to any likely source for this. I agree we need a wiki. I too need a refresher on harry Wilson. @Jim Barker: the tor download of the mobi file worked much better than the PDF in the kindle app. So do the audible books have DRM? 1. The ebooks are going to be released one “chapter” per week. 2. At the end the one per week cycle, there will be a collected edition available. Is this correct, and will that collected edition be an ebook? For the purpose of this publishing experiment, which is more helpful? Buying individual chapters, or waiting until May and buying the collected version? Just asking be because I was reading about the time difference between the pro t and electronic versions of the new wheel of time book. On a slightly tangenital note, have you heard anything about what’s happening with the Tor store and when it might see the light of day? Whoops, my bad that Amazon link leads to the UK edition. I think REDSHIRTS will be out in the Spring actually in Spanish. Translations take time. I am so stoked for this entire concept of an episodic release of a novel. I desperately want it to catch on like wildfire and become more common. It’s right up my alley for reading and being excited for the next “piece” to arrive. Can’t wait! Thank you Evan! May be I´ll wait for the REDSHIRTS translation, but i think i´ll buy the “Human Division” as ebook in english and the hardcover in spanish. And yes, translations take time…too long sometimes, if you ask me!. i do have the computer Kindle. i just hate reading on screens – my mom has a nook, and when i was visiting her i tried to use it, and it was *worse* than reading on my laptop. i think my problem(s) is that i have porphyria [which makes me photophobic, a good chunk of the time] and get migrains. reading on a screen is a PITA because of it. i can do email and such, but this is because i take a break every 15 minutes or so. reading blogs, same thing. reading a book? lots harder to take breaks, because i’m addicted to reading books. also – Eric Flint ADMITTED this – publisher put crack in the ink of the books they print. you just can’t GET that from e-books! WAH!!!!!!!!!!! When I first heard of your new serialized book/novel set in the OMW universe, I couldn’t wait to get my hands on it. But on it’s release date, I could only find NOOK versions of the e-reader format available for sale, and nothing for Kindle. It could have been that my google-foo was lacking, or Amazon was lagging, but I searched, and re-searched, and after a week, I gave up. Was, or is there an agreement to provide NOOK readers exclusive limited access to your serialized release of this new book? I’ve purchased everything you’ve written in the OMW universe, and have it all on my Kindle to date, (and have read each of them many times), but I don’t want to play the part of second class citizen in a marketing war over favored/un-favored e-reader formats. Yes, that’s what I see now. It’s not what I saw in January, and I did search repeatedly. OMW is the SciFi book I recommend to just about everyone….and I was looking forward to this revisit to the OMW universe, (and I was under the impression that Mr. Scalzi was burnt out on the story line for a while, and when I heard about this project….wow), but at the time, search after search only returned results for NOOK e-readers, and before plunking down money, I’d like to know that I’ll have the same access to new works as anyone else. And I’m not even a Kindle fanboi….I got my Kindle as a gift. John, I have enjoyed all your works and look forward to the further adventures of the Clark. 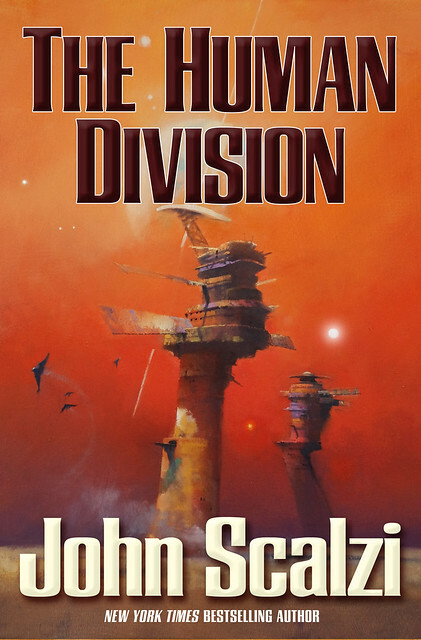 I am an Audible fanatic and did get Human Division in chapter form not realizing that it would be available as a book with additional content. I whined at Audible and they gave me the compilation when it came out. This did cause problems with my Audible library as I had the full book and all the chapters as separate books but today I chatted with them and they deleted the chapters. You seem to have the PERFECT voice talent for each book you do. My all around favorite is Wil Wheaton but I wouldn’t use him for Human Division or Old Mans war stuff.